Home › Latest News › Run Disney Special Offer - SOLD OUT! Run Disney Special Offer - SOLD OUT! 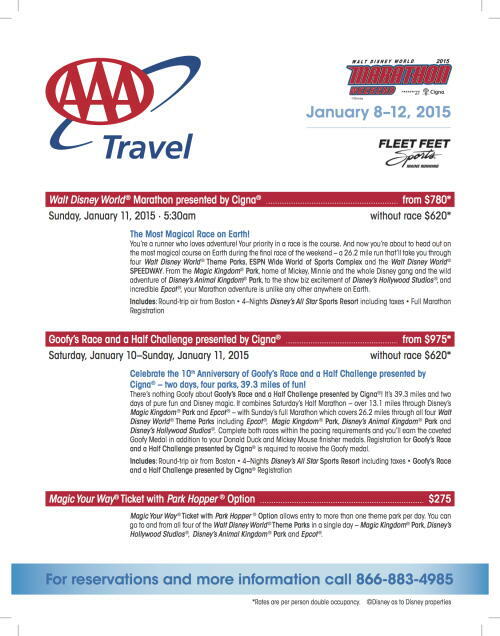 We're so excited to present some special deals from AAA on run travel this winter! Are you running the Walt Disney World Marathon or doing the Goofy challenge? Have we got a deal for you!